Acne marks and dark spots are probably two of the toughest problems when it comes to skincare. It takes weeks–even months– 'til those stubborn scars and blemishes begin to fade. But finally, now there's a solution! 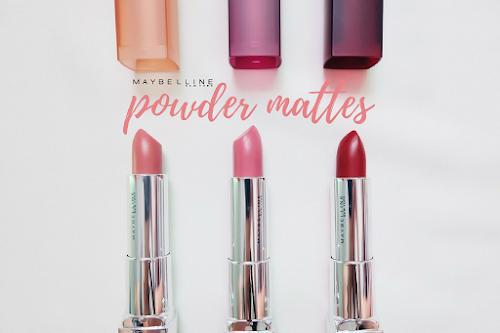 A lot of people have been raving about this product for many months now. Imagine, the Vitamin C which we usually associate with cough and common colds, would actually work wonders for our skin. 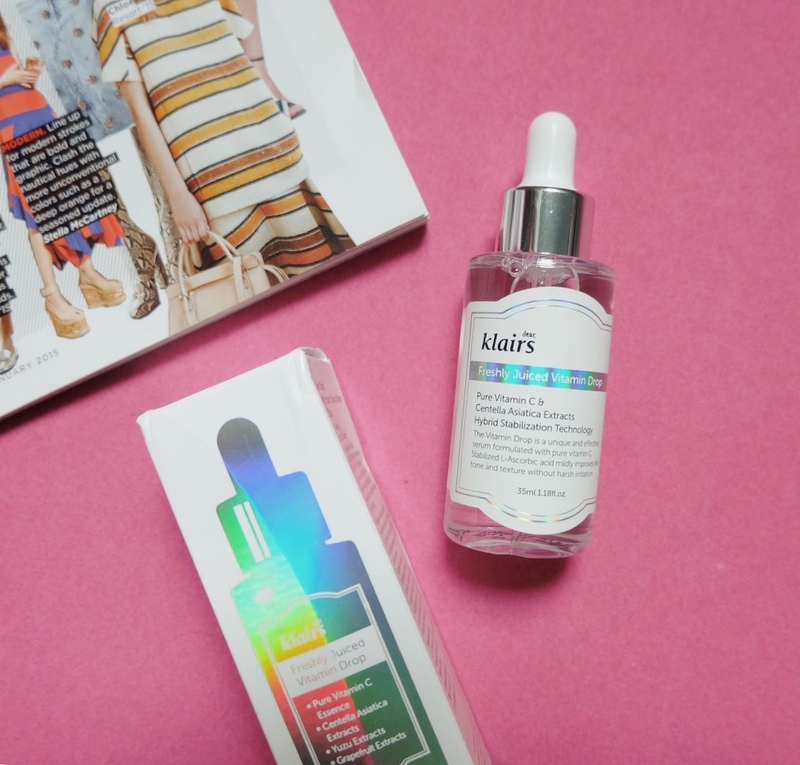 Dear, Klairs Freshly Juiced Vitamin Drop contains key ingredients such as Pure Vitamin C and Centella Asiatica extracts. Vitamin C is a known anti-oxidant that helps reduce skin-inflammation and pigmentation, while the Centella Asiatica has anti-aging properties. Both are also responsible for promoting collagen production which helps retain our skin's elasticity and firmness. Use it in your AM or PM skin care routine after cleanser, toner and essence. Apply 2 to 3 drops on your face or on targeted areas. For sensitive skin types, mix a few drops with cream moisturizer and apply evenly on face. For first time users, a slight tingling or warmed sensation may be experienced. This is a normal process due to the difference of pH levels in the skin and the vitamin C, and is absolutely safe to use. You can follow it up with an Aloe Vera gel or other gel-based moisturizer to soothe your skin. Vitamin C works best during nighttime. Apply sunscreen when using during the day. As the skin can easily be irritated, it is not recommended to apply this serum after exfoliators (AHA, BHA products included) have been used. Recommended to store it in a cool and dry place away from direct sun light. For the best effect of vitamin C, use it within 2~3months after opening. 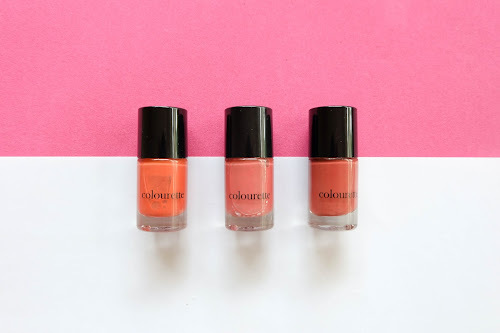 ** Due to the 5% vitamin C within the product, color change can occur. To avoid color change, please store in a dark, cool and dry place, such as the fridge. 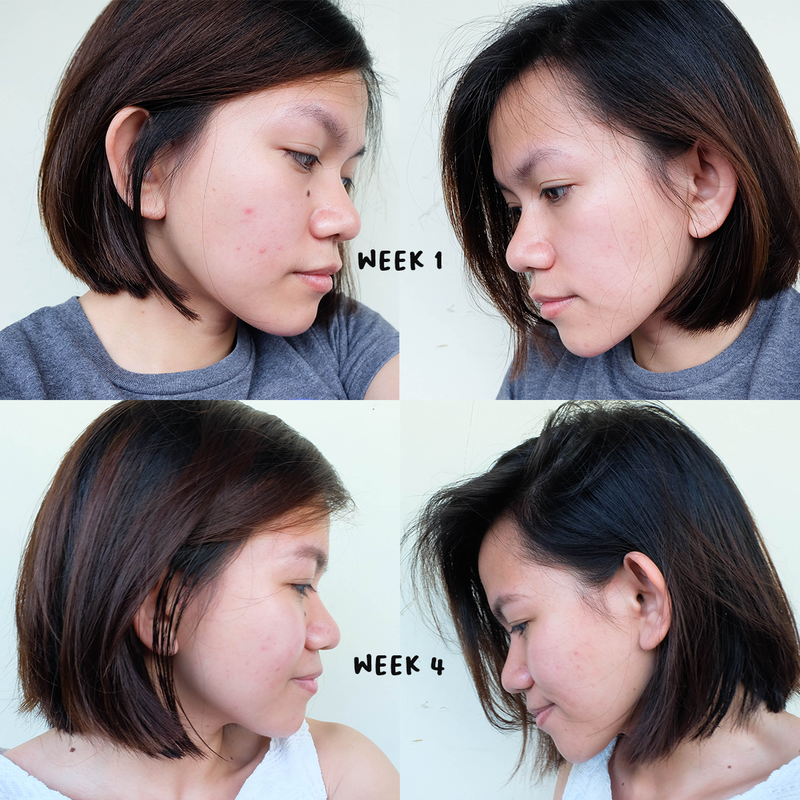 On Week 1, I had an acne breakout (probably because it was the time of the month). I started using the Vitamin C serum, and after 4 weeks of religiously using the product, I noticed that my acne marks visibly lightened. Acne marks on my chin and temple areas are starting to fade too. 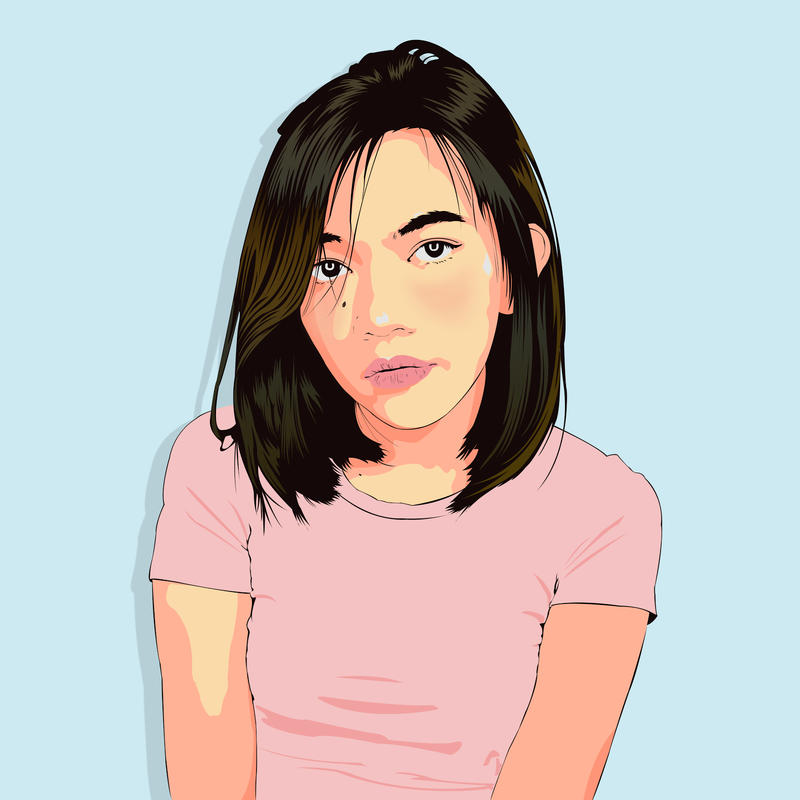 Note that my acnes on Week 1 were just starting so it looked even worse on Week 2, so I think it really did speed up the process. 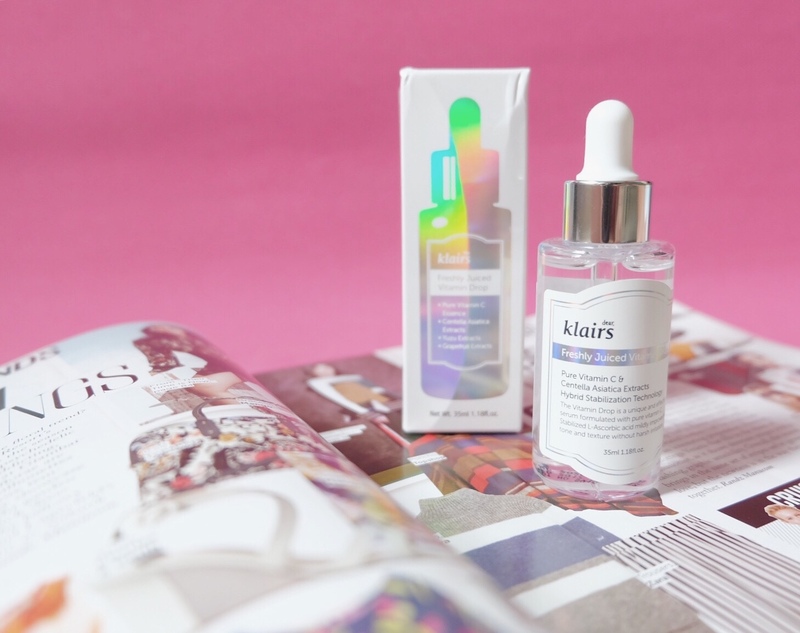 Have you tried Dear, Klairs Freshly Juiced Vitamin C Serum? 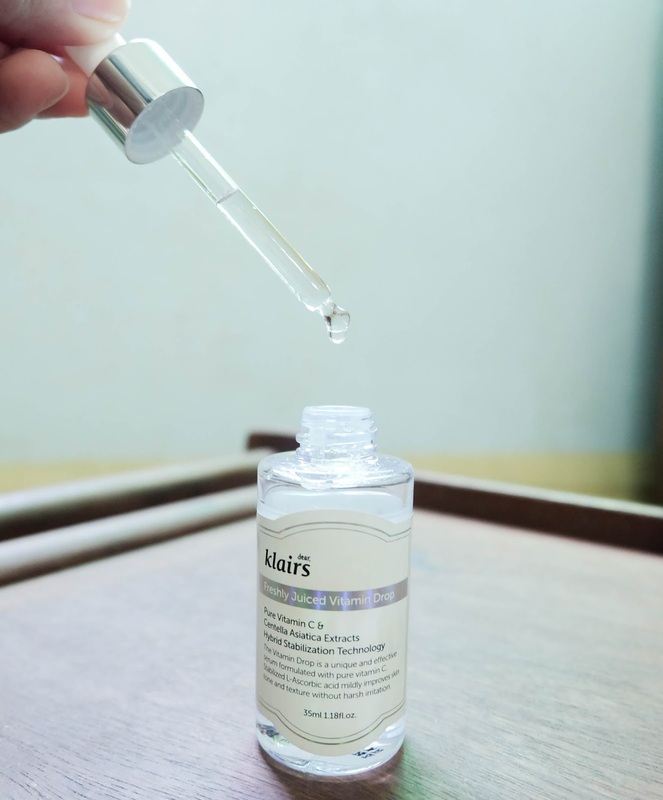 What other serum have you tried for acne marks and dark spots? Disclaimer: This is a sponsored post which may contain affiliate links. The product was sent to me by Wishtrend in exchange for an honest review of the item. Nonetheless, all contents and opinions are entirely my own.